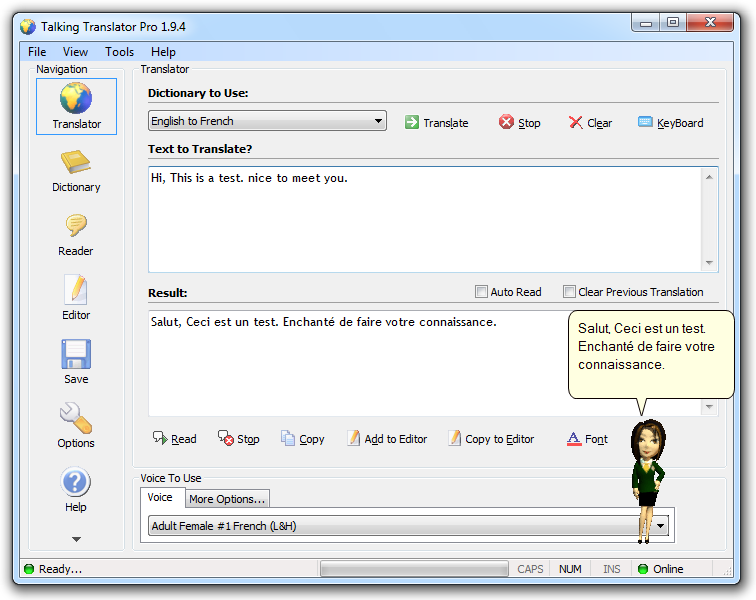 Talking Translator Pro is a small and easy to use 4-in-1 language utility which can translate text between 7 languages. It can find meanings of words, read the contents of files and clipboard, and it edit and saves your translation and meanings. It also comes with a built-in Text to Speech feature. Text to Speech engines in about 12 languages are provided free. The English Dictionary provides quick access to meanings of any English words. 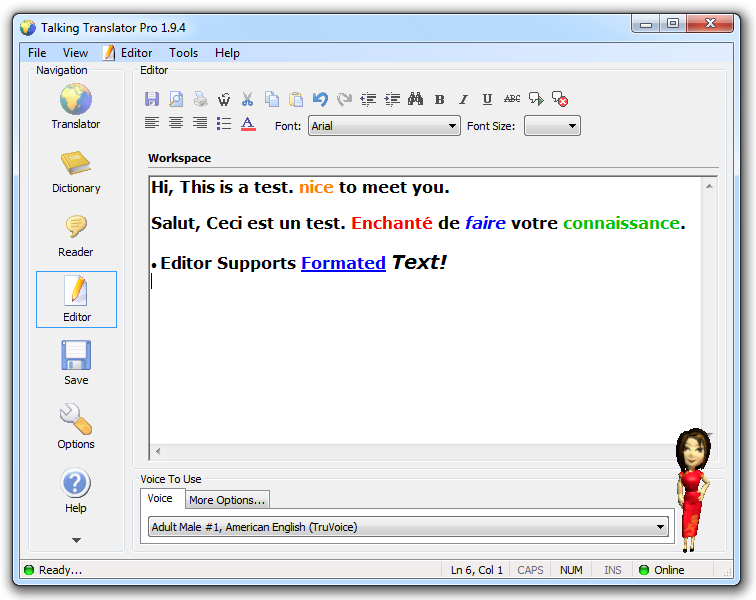 A built-in Word Processor-like editor is included to edit your translation and meanings without having to launch another separate application. The Built-in Clipboard and File Reader make it easy to listen to a text file, Rich Text File, web page content or just content on the clipboard. You can save your work in many formats, including Acrobat PDF, Rich Text, Text File and HTML.